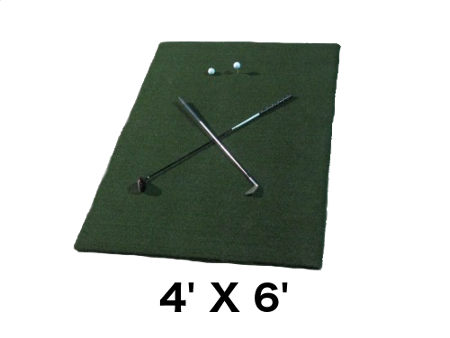 Custom Turf Outlet has Artificial Turf For Sale for Pet Turf, Baseball Turf Mats, Golf Mats, Putting Greens and more. Since 1996, we have been a top supplier of synthetic grass applications. Our continued success in this rapidly growing industry has led us to sell our products direct to the consumer. We have many pre-cut pieces for sale as well as a knowledgeable staff that can help you with any custom size to fit your specific area. We have no minimum order requirements, unlike our competitors and we always offer free shipping on all orders. We pride ourself on providing the products to meet your needs with speedy shipping to your location. From bocce ball courts to pet turf, we have the artificial turf products for sale to suit your needs. Our experienced support staff is here to assist you in making the right turf choice for your needs and advise you on proper measurements and installation requirements for your turf product. Our high quality turf products are manufactured in the U.S.A. Contact us today for a no obligation consultation, estimate and free samples. We also have large quantity discounts available on some outstanding products.